Two students from Iowa State University worked with members of the KC community to redesign a 1.5 mile stretch of 18th street. We wanted to reimagine 18th street, and see how we could make it a better place to live, work and play. Brace yourselves, 20th Street is about to get a make over. The 20th Street Streetscape Project will start in Spring 2016 and is expected to be complete by Fall 2016. 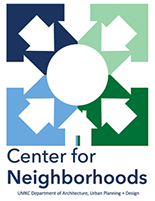 The 49/63 Neighborhood Coalition will assist in building capacity and reactivating their member neighborhood organizations in Troostwood and Troost Plateau. We are seeking funds to expand our community garden. One day of general community celebration, and a second day for youth. Youth plan out an event for the community. The Argentine Bennington Community's special holiday event brings the community together for a night of festivities at Emerson Park. The focal point of the night is the lighting of the gazebo, the big tree in the park. ABC's special holiday event brings the community together and consists of lighting up the Gazebo, the big tree in the park, and the fire station next to the park.